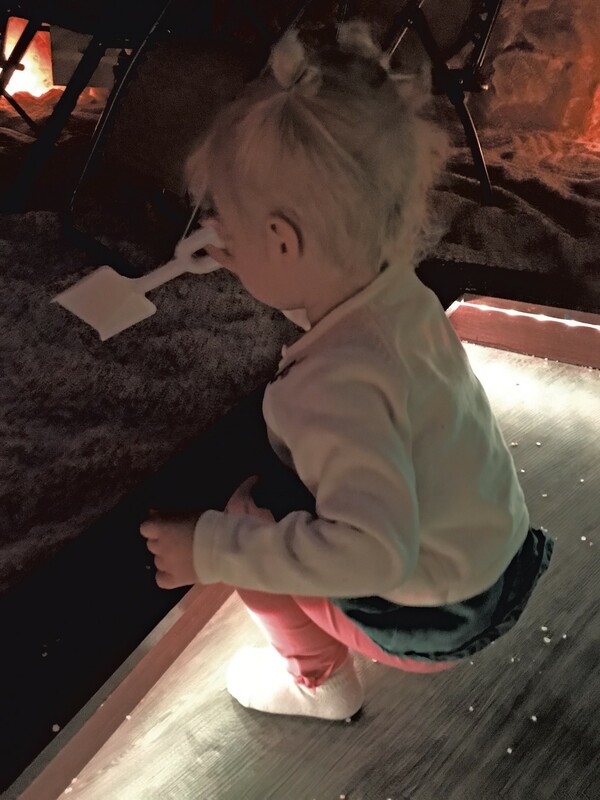 Destination Recreation: Purple Sage's Salt Cave | Destination Recreation | Kids VT - small people, big ideas! Between annoying cartoons and crowded museums, kids' entertainment can feel like sensory overload. 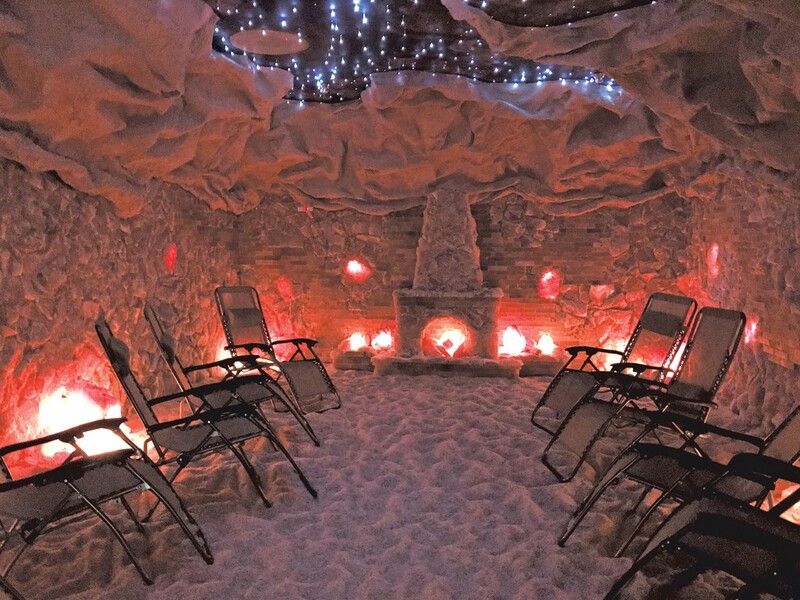 The salt cave at Purple Sage, a salon and spa in Essex Junction, offers a relaxing antidote to overstimulation. Located in the Essex Shoppes, Purple Sage offers a range of holistic, healing, spa and beauty services. The cornerstone of its holistic healing mission, though, is the therapeutic salt cave. According to the Purple Sage website, salt therapy, also called halotherapy, yields myriad benefits for the mind and body. Increased mental acuity, reduced stress and inflammation, improved mood, an enhanced immune system, and relief from respiratory conditions are among the benefits that the spa touts. Alison Maloof, a naturopathic doctor and resident at the Champlain Center for Natural Medicine in Shelburne, is a believer. "I've been to many salt caves all over for my own personal experience," Maloof said. Though there's limited research available on halotherapy, the information that exists, she said, focuses on treatment of respiratory conditions, such as asthma, bronchitis and sinusitis. Although people should check with their health care professional before starting halotherapy to treat a condition, Maloof said, individuals can feel benefits just by sitting in the cave and breathing. Another perk? "Taking an hour to relax can be beneficial for mental and emotional stress," said Maloof. "I like to call it Vitamin R — rest and rejuvenation." Purple Sage's salt cave is typically open to adults and kids ages 8 and up, but on Sunday afternoons through July, special Kids Cave sessions allow younger children and their caregivers to experience salt therapy together. On a weekend in May, my 1-year-old daughter, Virginia, and I gave it a try. On the morning of our appointment, Virginia was having a challenging day. Little tasks led to tantrums as we tried to get out the door, and I wondered if I had set us up for disaster. I hoped the salt cave worked as promised. Once in the spa's reception and retail area, we met general manager Samuel Dawson, who let us know that we were the only registered participants that day, which meant we'd have the salt cave to ourselves. Score! Dawson led us into the cave's vestibule, which was stocked with blankets, pails and shovels. Food, drinks and electronics are not allowed inside, so I left my cell phone in a cubby. Virginia and I changed into the required white socks (adult sizes were provided; kids should bring their own) and passed through the ornate wooden double doors into the cave. The walls are encrusted with pure mineral sea salt, and Himalayan salt lamps give off a dim, orange hue. Star-like lights twinkle from the ceiling. The floor is covered by a thick layer of small salt rocks — around the size of road salt — creating an oversized sandbox. It took Salt Cave Builders of America two weeks to construct the cave, Dawson said. It was finished in October 2017. Measuring 384 square feet, the cavern seats up to 10 people in special zero-gravity lounge chairs. These breathable reclining seats resemble lawn chairs and are designed for comfort. The room is kept cool at 70 degrees Fahrenheit, and the air is infused with a dry aerosol of micro-sized, pharmaceutical-grade salt particles created by a salt generator. "This would be a perfect respite from a rainy or sticky summer day," I thought. I put my feet up in a lounge chair while Virginia played with her pail and shovel. With the gentle lighting and soft ambient music coming from the speakers, it was easy to let the stress of the morning go. After around 15 minutes of amusing herself on her own personal beach, Virginia climbed into my chair, snuggled under a blanket, looked up at the twinkling lights and relaxed for the rest of the 45-minute session. I'm not sure if it was the distraction-free environment, my own sense of calm transmitted to my daughter or the Himalayan salt working its magic, but the tension of the morning melted away. Now that's entertainment. Kids Cave takes place every Sunday in July from 1-1:45 p.m. $35 per adult-child pair; $20 per additional child. Call 879-1160 to preregister. Visit purplesagevt.com for more information. Regular salt cave sessions are Monday through Friday, 10 a.m.-7 p.m.; Saturday, 9 a.m.-7 p.m. and Sunday, 11 a.m.-4 p.m. beginning at the top of every hour. 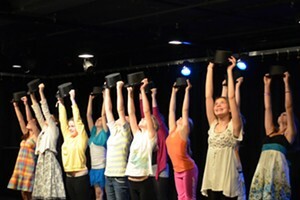 $35; preregistration required. Tags: Destination Recreation, Purple Sage, salt cave, therapeutic salt cave, halotherapy.